Hearts don’t have to just mean love, certainly not romance. Hearts can also be a symbol of kindness and friendship. I love finding new ways to promote kindness and friendship in my classroom for our Friendly Fridays. 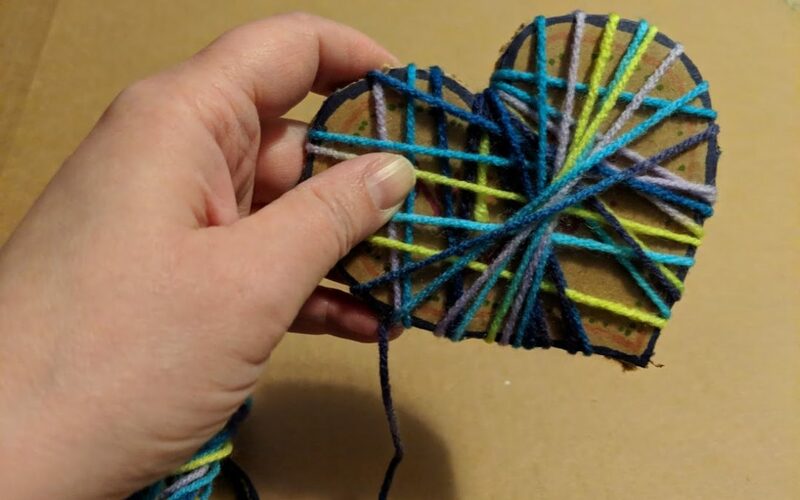 While scrolling through Facebook the other day, I landed on a wonderful image of a heart made of yarn that I thought was just so sweet and I knew I had to try this wonderful activity myself and share it with my students for our next Friendly Friday. 1.Think of a person for whom you would want to make your friendly heart. 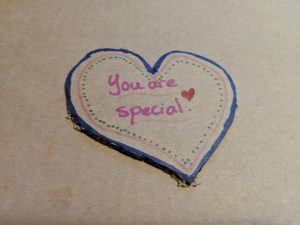 Have that person in mind when you write a kind message on the heart with markers. You may want to write a draft first so you can check spelling or spacing. Design your heart as you wish. Consider doing something on the back of the heart as well. Decide if you want to sign and date your heart. 2. 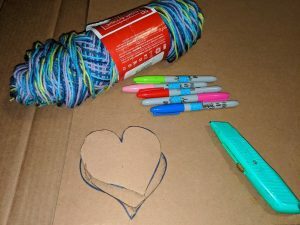 Take some yarn and start wrapping the yarn around the cardboard heart. 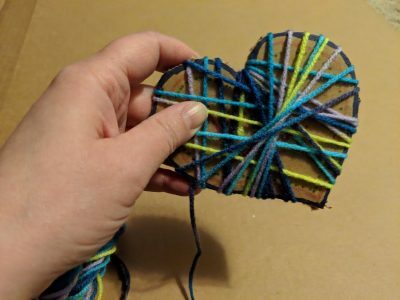 You will need to figure ways to wrap the yarn so that it covers as much of the heart as you wish. Remember to keep your yarn taut. 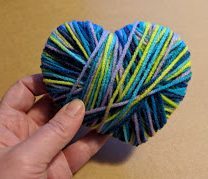 Continue to wrap the yarn until you are satisfied with your heart. 3. Cut the yarn, but leave a length so that you can weave the end back into the heart so it does not unravel. You can also tie the end to a piece of yarn in the heart and then stuff it inside so the knot cannot be seen. 4. Give your Friendly Heart to your recipient. If you want, you can tell the person there is a special message inside. It is up to you if you want to encourage the person to unravel the heart to see the message or keep it a special mystery. You could even set a date for your recipient to unravel the friendly heart in order to see the message. There it is! Friendly Hearts! It’s so simple, but so complex because of how you cover up the message in a very special wrapping. I hope you find a great time to try this activity out with your students or families! Watch the video on YouTube or on Facebook.